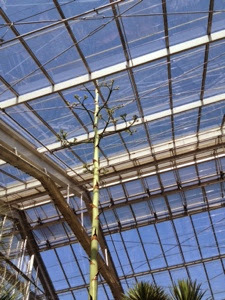 The Botanical Garden's agave is blooming. 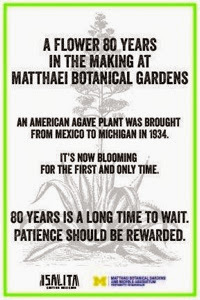 The desert plants, which are used to make pulque, mescal and tequila, grow for decades before flowering once before dying. So if you want to see one blooming, and don't want to go south if the border, you should stop by the Botanical Gardens. As a bonus, if you bring your Bot Gardens parking receipt to Isalita by June 15th, you get 10% off your bill and Isalita will donate an equal amount to the Gardens. Botany, discounted margaritas and donating to a great organization: a classic win-win-win situation. This is covering all your favorite bases - plants, charity, hard liquor.